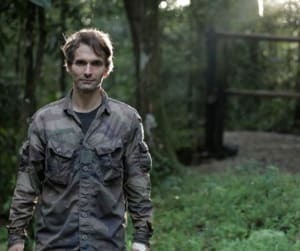 Adman turned adventurer Todd Sampson currently helps pull the ratings for ABC’s Gruen, so Ten will no doubt be hoping he can do the same with his original new series ‘Todd Sampson’s BodyHack’. Premiering on 4 October at 9pm, the show sees Sampson, who is also a non exec director on the Leo Burnett, Fairfax and Qantas boards, set out on an epic adventure to try to unlock the secrets of some of the world’s most extraordinary people. He’ll face challenges including living as a hunter-gatherer in Tanzania, stepping into the ring as a professional MMA Cage Fighter and confronting his fear of open water to free dive and stride across the sea floor in Borneo. Clemenger BBDO and I-Manifest have launched a creative apprenticeship program, The Forge, designed to provide a foot in the door for young creative talented who may not have attended university of completed AWARD school. The program will run over the course of 2017, with Clemenger BBDO Sydney offering four fully paid internships for three month durations. Foxtel has rolled out a rebrand across its Lifestyle portfolio which is set to be supported by a marketing campaign across outdoor, press, online, native advertising, podcasts, radio and a “once in a lifetime pop-up restaurant” experience to say thank you to its subscribers. The refresh includes Lifestyle, Lifestyle Food, Lifestyle Home and Lifestyle You. The new look, created in-house, is designed to ensure that each channel has its “own unique character while maintaining a unified identity” under the Lifestyle parent brand. Lifestyle hosts shows such as Selling Houses Australia, Grand Designs Australia, The Great Australian Bake Off and Gogglebox Australia.